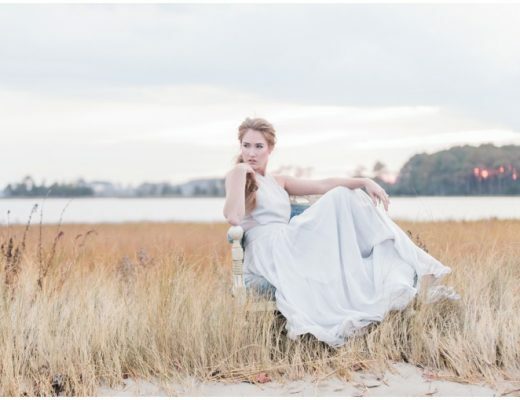 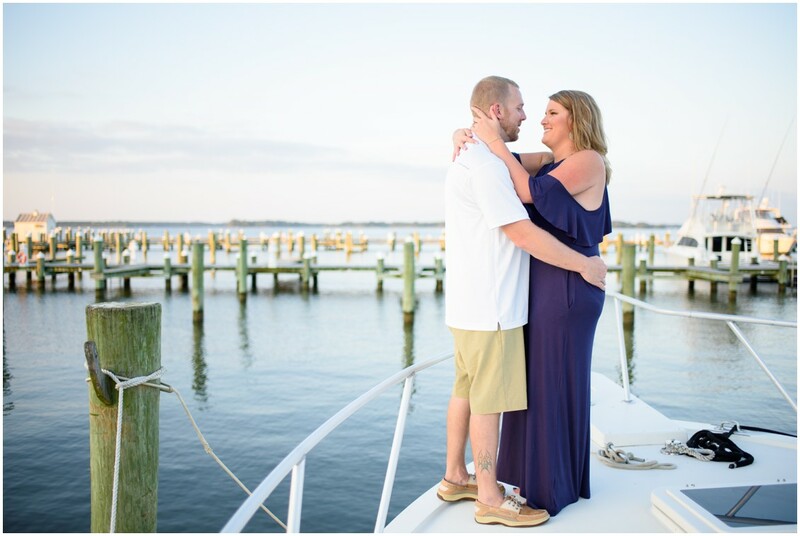 Halfway through this holiday week, and we could wait to share this sweet saltwater e-sesh from J. Nicole Photography! 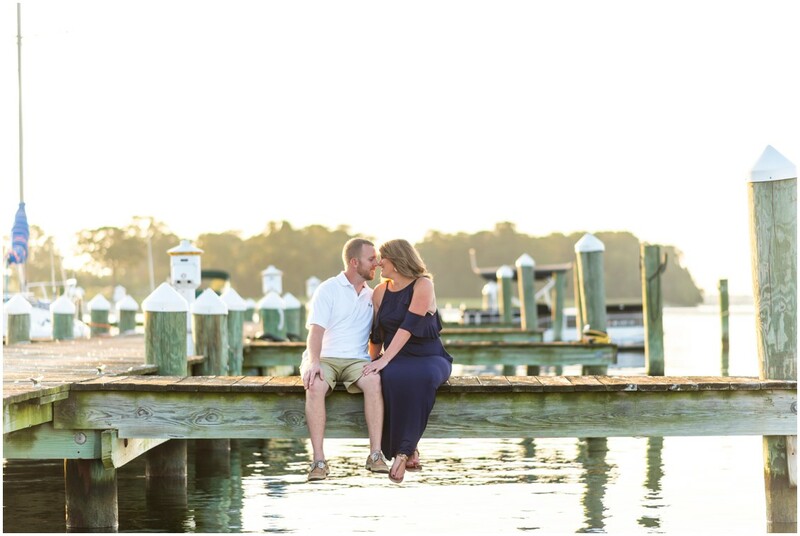 These two love spending time on on the bay, and we couldn’t think for a more perfect place for this session than their marina at sunset. 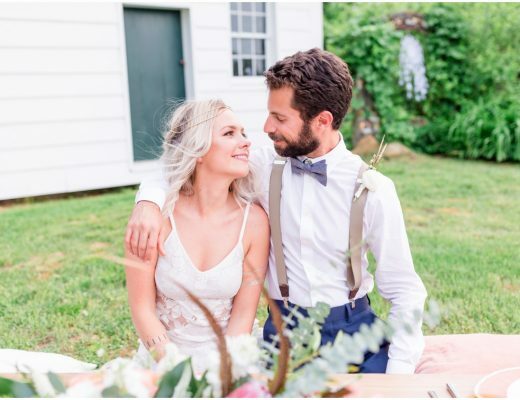 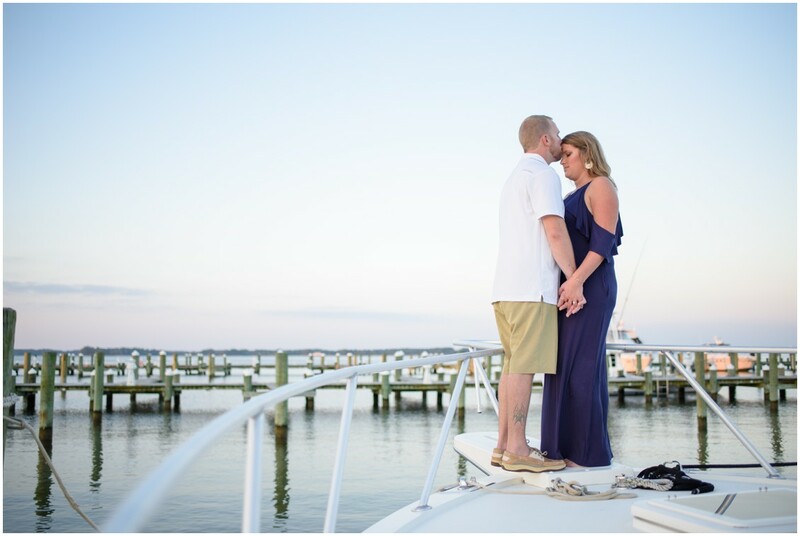 Not only did it make the most beautiful setting, it will serve as a life-long memory as this captain/copilot duo look forward to lifetime full of sunsets together! 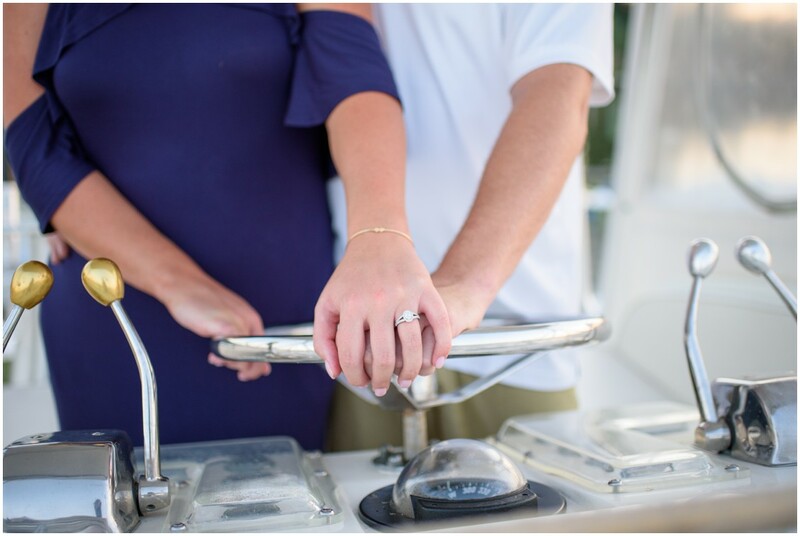 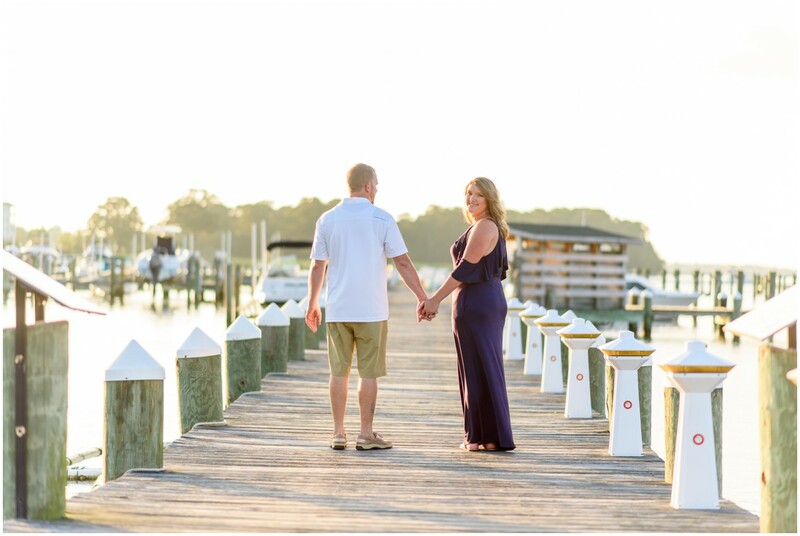 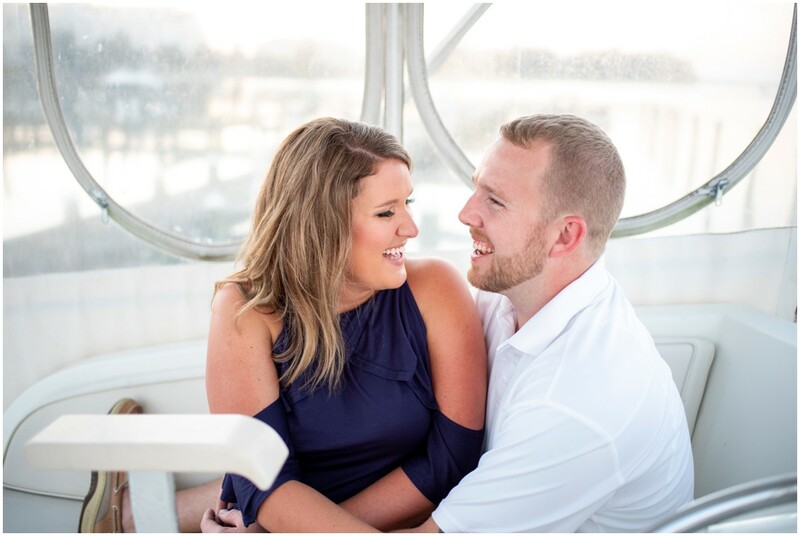 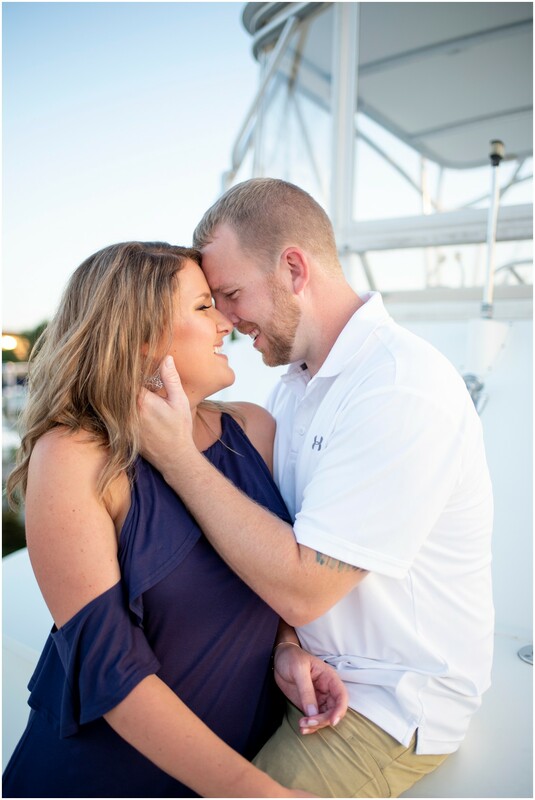 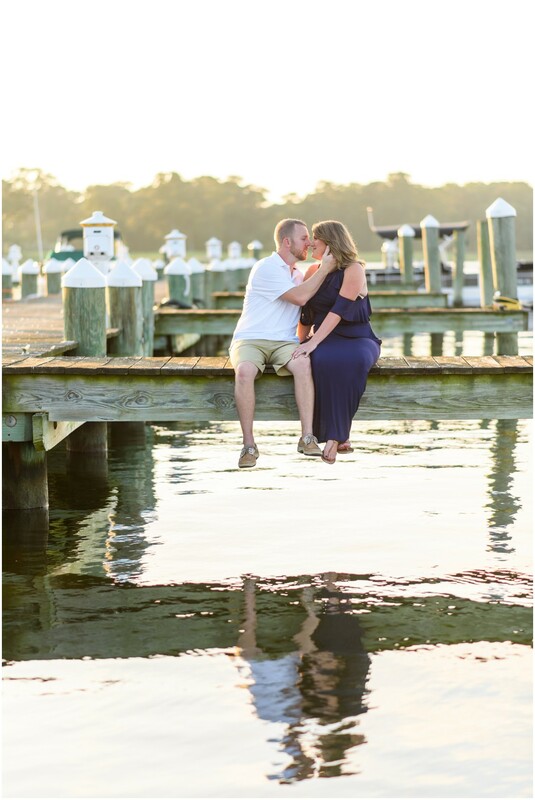 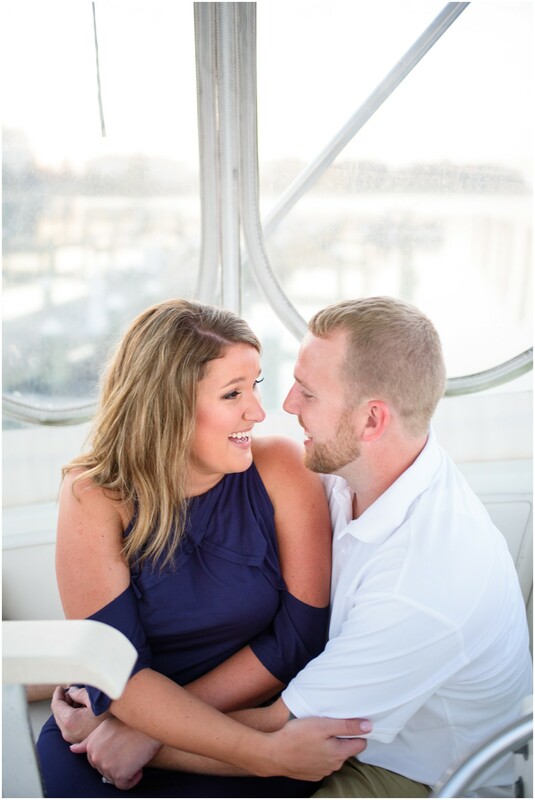 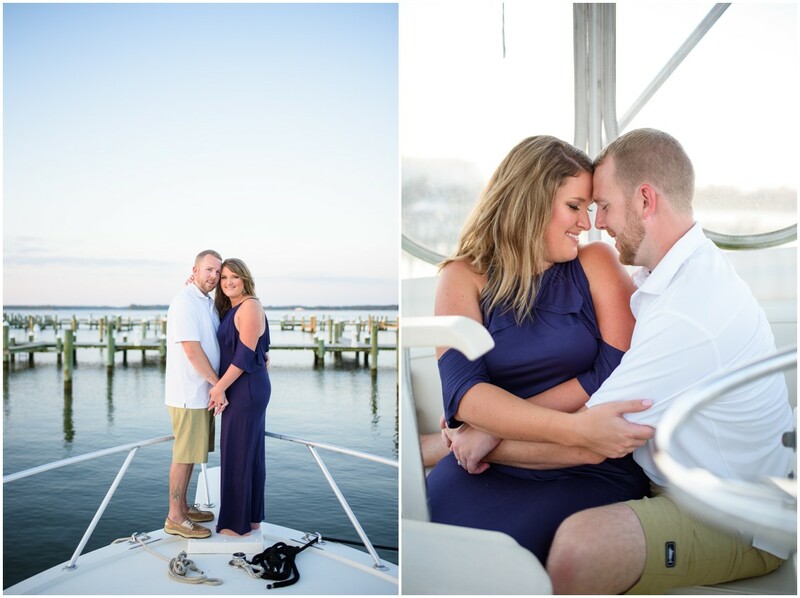 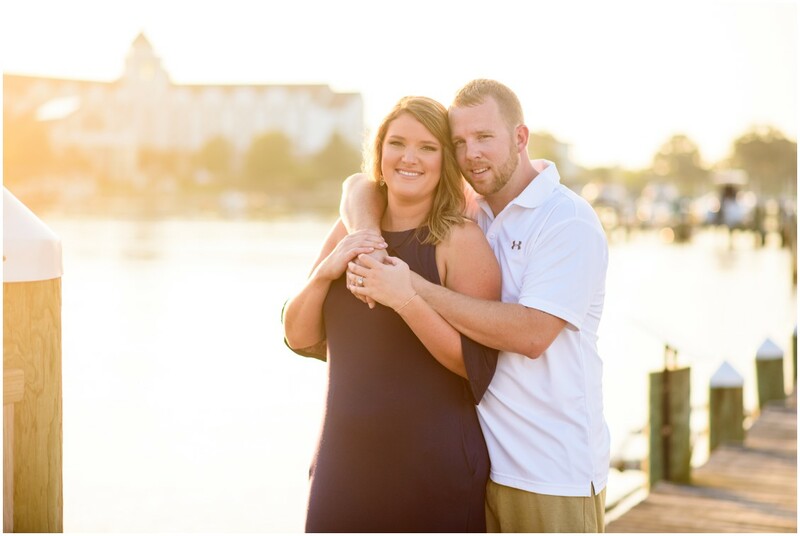 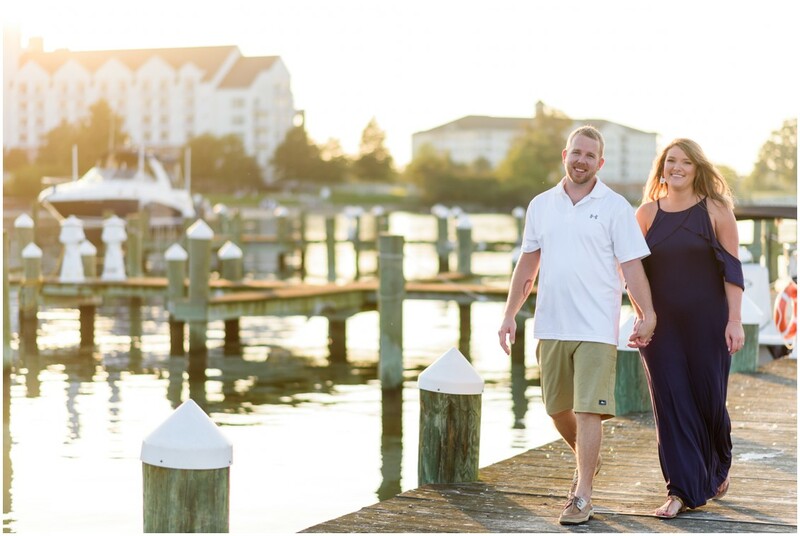 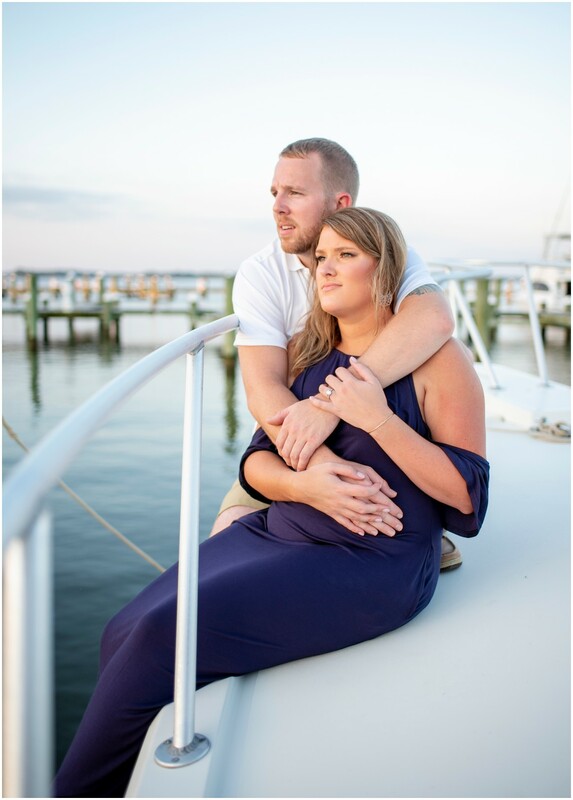 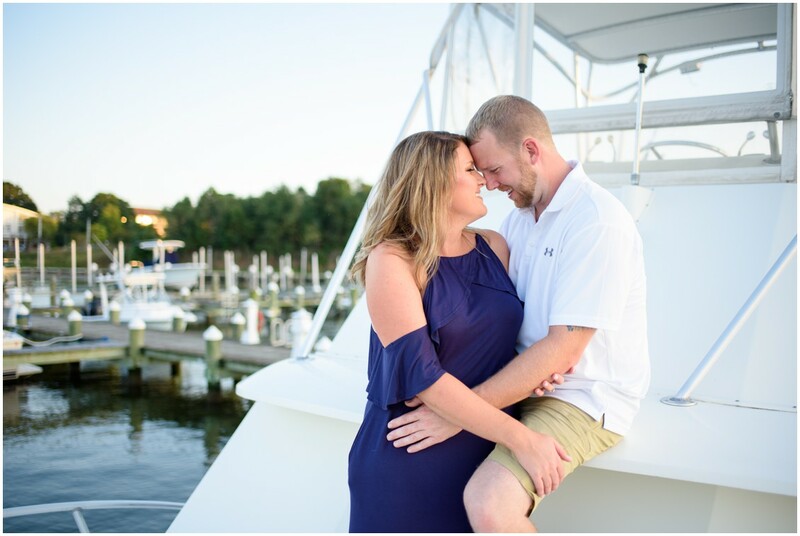 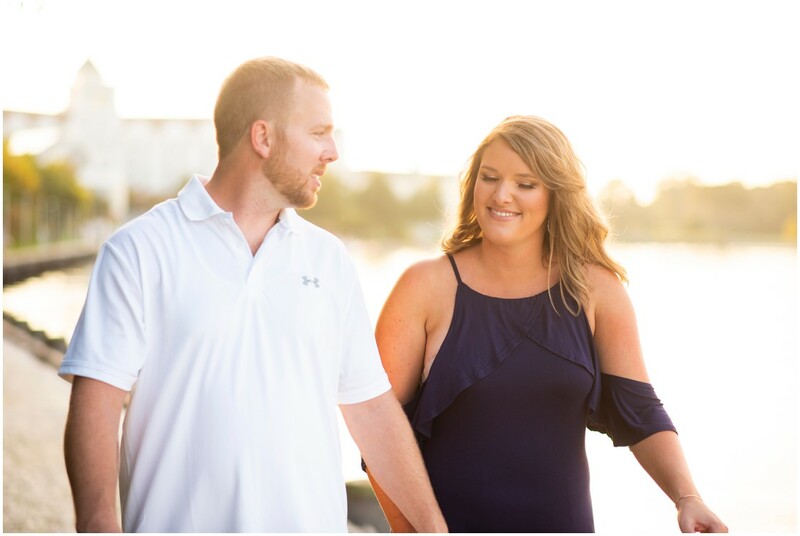 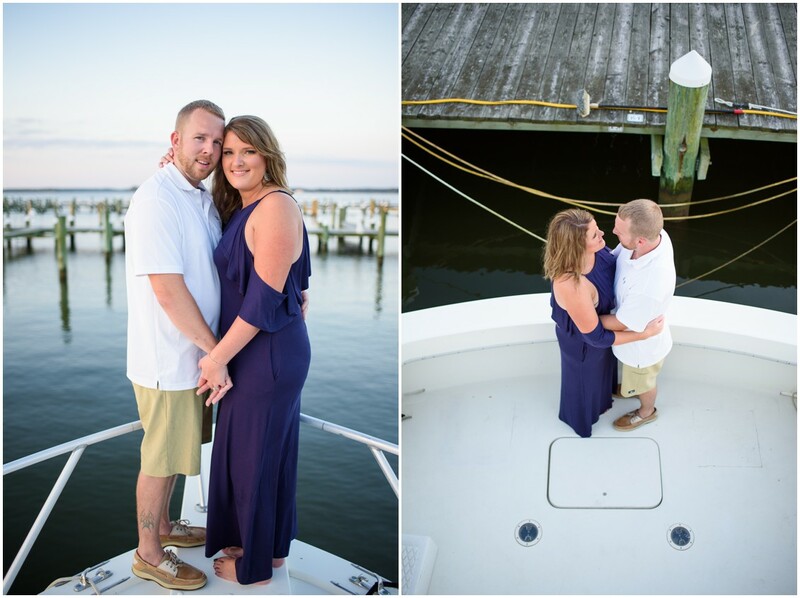 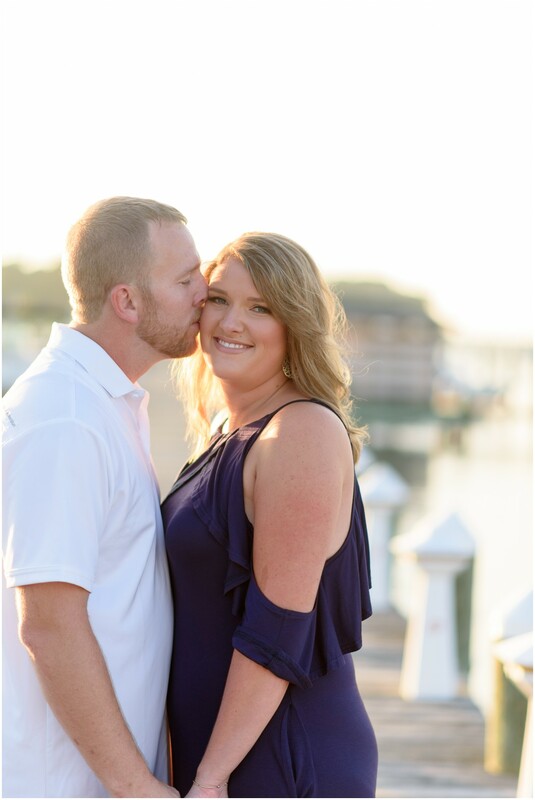 From J. Nicole Photography: Amber & Jesse love spending any time they can out on their boat in the warmer months, so they thought, why not have their engagement session at the marina and on their boat! 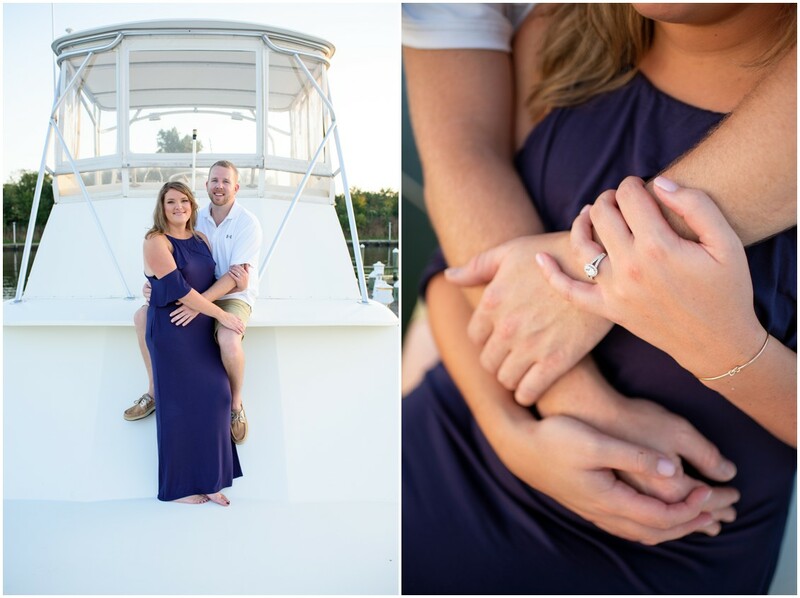 We had to reschedule their session because of rain the first time and we were a little worried it was going to be cooler out for their rain date, but it ended up being warmer than their previously scheduled time. 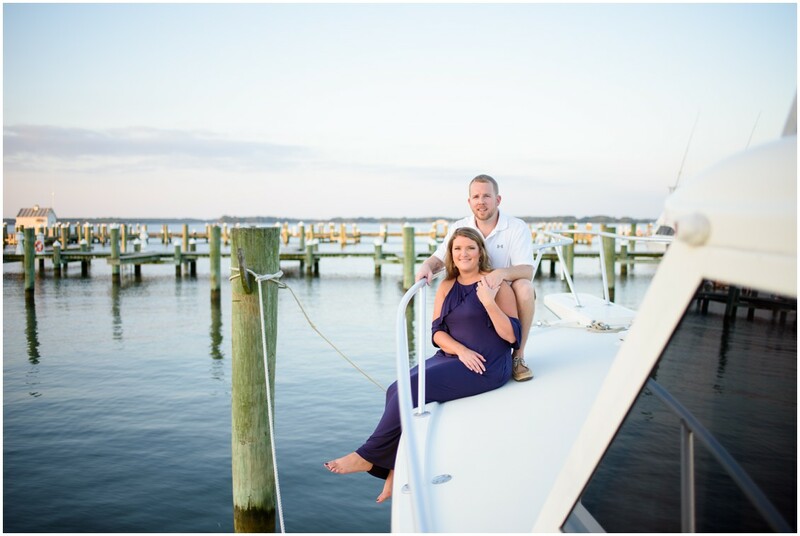 The water was calm as the sun slipped slowly behind The Hyatt, and since it was later in the season the marina had a lot of empty slips, leaving the place feeling like it was all ours for the night!